Think of dermal fillers as the cosmetic dermatologist’s secret weapon. 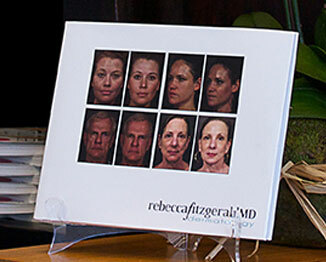 Of all the skin rejuvenation techniques, they are Dr. Rebecca Fitzgerald’s passion and chosen area of expertise. 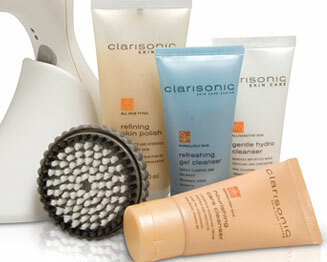 A major component of her approach to natural, believable anti-aging relies on the concept of light and shadow. How we subconsciously judge someone's age and attractiveness is actually a complex process of the interplay of light and shadow. This interplay can signify youth or age. Loss of light reflection assigned to youth signals age even more so than the appearance of facial lines and wrinkles. Convex areas reflect light, making us look more vibrant and younger. These areas are your cheeks, forehead, temples and lips – even the small philtral columns between the lip and nose. Concave areas that develop or deepen as we age and lose facial volume create more shadows, and it is this shadowing that we subconsciously perceive as signs of aging and loss of energy. Filler selection, placement and technique make all the difference in the results you’ll see. Dr. Fitzgerald has a worldwide reputation as being among the best of the best. You can receive your custom dermal filler recommendations for your unique individual needs by meeting with Dr. Fitzgerald in person. Please call 323-464-8046 today to schedule a consultation at our Los Angeles cosmetic dermatology office. You can also opt for needle-less injections delivered by a smooth-tipped micro cannula. Dr. Fitzgerald was a pioneer of micro cannulas when first introduced and is an expert in this specialized injection technique. Dermal fillers can in some cases even allow you to “try on” an altered nose or more projected chin before you make surgical decisions – or instead of surgical procedures. Do Dermal Fillers Compare to Face Lifts? 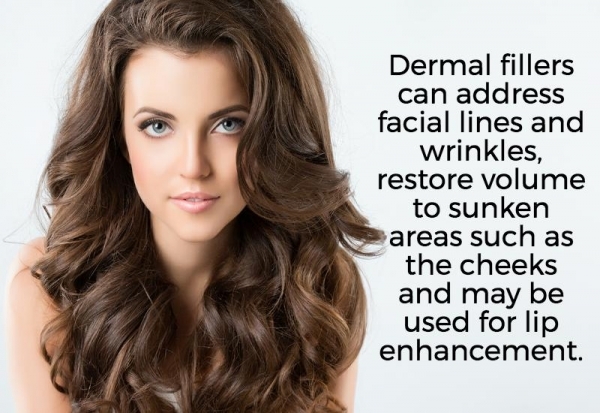 Dermal fillers can have an astounding effect on your face. Sometimes it’s not a facelift that’s needed but volume replacement. Even after a facelift, restoring volume loss is more often than not the completion of the process. If you start using Dermal Fillers in your 30’s, you should never need a Face Lift, and you can basically stop the aging clock in its tracks. Dr Fitzgerald has been called upon by all of the manufacturers of Dermal Fillers to train other physicians internationally on the proper and most effective use of Dermal Fillers and share her advanced injection techniques. Dr. Fitzgerald is one of the most experienced providers of dermal fillers in Los Angeles with a national and international following. Renowned for her research, innovations and talent in advanced injection techniques, she is the "doctors’ teacher," frequently called upon to train other doctors how to implement her techniques. Dr. Fitzgerald's extensive training with the most advanced injection techniques ensure you'll receive the beautiful, natural looking results you deserve. Please contact Dr. Rebecca Fitzgerald using the form on this page or call 323-464-8046 today to schedule your dermal filler consultation. We serve patients in Los Angeles, Beverly Hills, and Larchmont, California.